If you’ve ever looked into Newcastle’s past or have ancestors from Heaton, you’ll have come across the name ‘Leighton’, pronounced locally ‘Light-on’. There was Leighton Primitive Methodist Chapel on Heaton Road and Leighton Memorial Board School, which was originally based in the church’s Sunday School. Indeed there’s still a Leighton Street off Byker Bank. But who was Leighton and what do we know of the buildings named in his honour? William Brogg Leighton was born in Newcastle on 27 July 1810 and baptised on 26 August at All Saints Church. He worked as a printer and bookseller, building society treasurer (Northern Counties Building Society) and valuer – and, in an early example of what we’d now call a portfolio career, he sold butter and eggs on market days. William was a pioneer of the temperance movement and a local preacher. 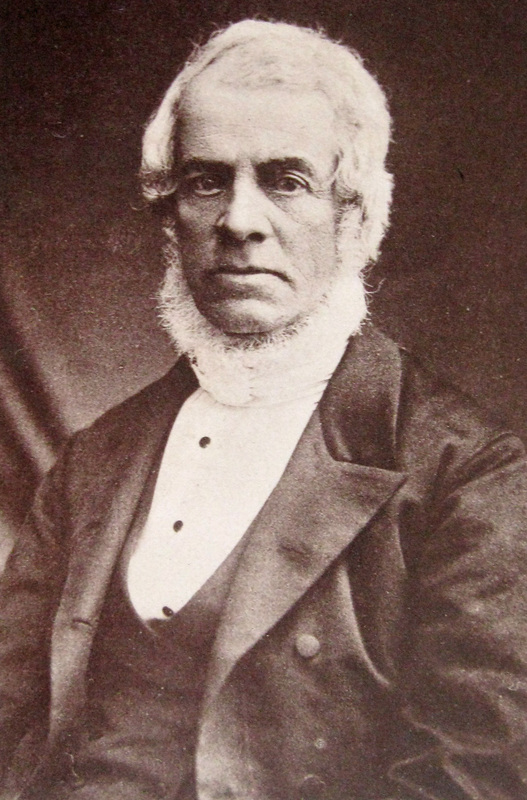 In 1829, aged 19, he started a Sunday School of which he remained superintendent for 51 years. In 1836 he married Mary Hedley at Longbenton and they had three children. Mary, was the first woman in Newcastle to sign the pledge! In 1841, William was instrumental in establishing the Ballast Hills Methodist Chapel in Byker. The chapel was in existence until 1955. When a new place of worship was opened in Heaton in 1877, it was named Leighton Primitive Methodist Church in recognition of William’s significant contribution to the church. Eventually William became a member of the first School Board of Newcastle and a director of the Byker Bridge Company. He died on 25 April 1884 in Newcastle. Thank you to his great great granddaughter for permission to publish the photograph below. You can read more of Norman and Geoff’s research on William Brogg Leighton here. This Primitive Methodist church was one of the first buildings on Heaton Road when it was built in 1877. It was designed in the Italianate style with a broad pedimented front. In 1965 the chapel merged with the Wesleyan Methodists’ Bainbridge Memorial Chapel, a short distance along Heaton Road, the building with a tower in the photograph below. The Leighton Memorial premises were closed and later demolished. The 1970s shops towards the corner of Shields Road were built on the site. On 24 May 1880, Leighton Memorial School opened. It was established as a branch of the School of Science and Art, Newcastle upon Tyne and was located in Leighton Memorial Church Sunday School on Heaton Road. These premises were leased by the Rutherford Committee for use as a day school. The school began with 26 pupils but within six months of opening numbers had increased to over 200. The school was arranged in two main sections – the Infants Department and the Mixed Department. 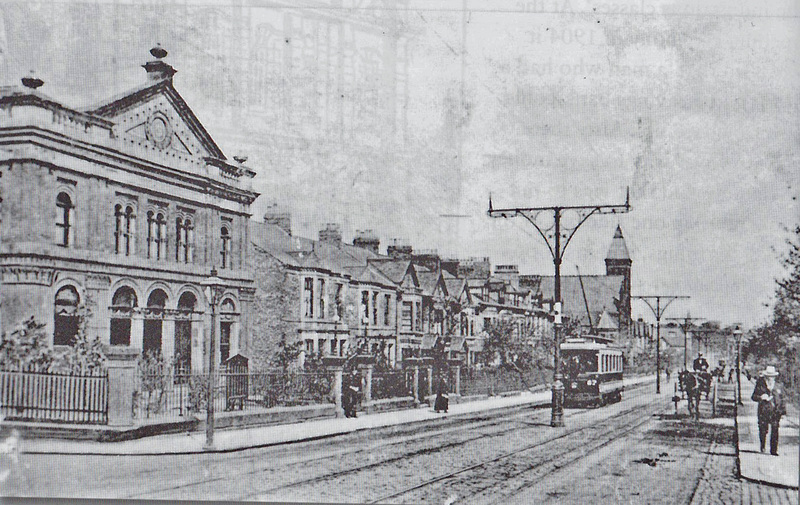 In 1885, a further branch of the School of Science and Art was opened at Ashfield Villa, Heaton Road to meet local demands for higher education. The popularity of this school and Leighton Memorial School led to overcrowding and it was decided that a new building was required. The new school was named North View School and the foundation stone was laid on 21 September 1891. 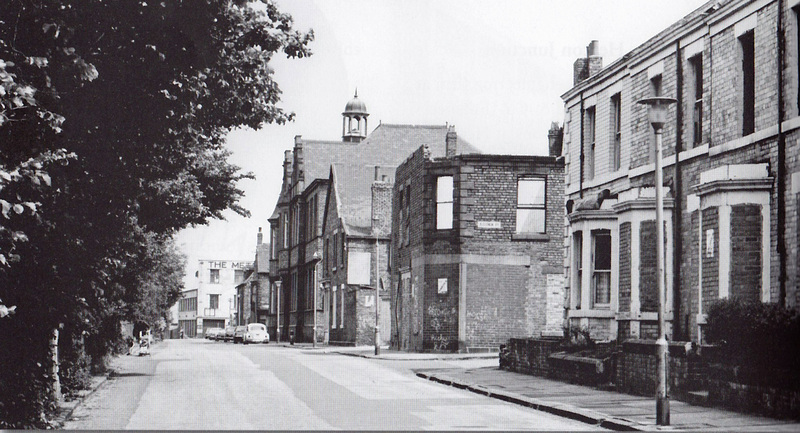 The school was located on the south side of North View near the junction with Brough Street. It was officially opened on 26 September 1892. The old Leighton Memorial School building was retained for use by the infants until about 1907. Initially boys and girls were taught together in the Mixed Department but from 1893 boys and girls departments were established and the two sexes were taught separately. In 1897 Newcastle School Board agreed to take over the management of North View School and Leighton Memorial Infants School from Rutherford College Council and the transfer was completed in 1900. In that year the School was re-arranged once again on a mixed basis. In 1903 Newcastle School Board was wound up and responsibility for the schools passed to Newcastle City Council Education Committee. In 1907, North View Schools were re-organised with the opening of a new Junior Department. This left the school arranged in three Departments – Infants, Juniors and Seniors. In November 1940 North View School was re-organised into two Departments – Infants/Lower Junior and Senior/Upper Junior. This change was short lived and in 1943 the School returned to the earlier arrangement of three Departments. By the early 1950s the Senior Department was redesignated North View County Secondary School. In 1967, North View County Secondary School closed following the re-organisation of secondary education along comprehensive lines. Pupils were transferred to the new Benfield Comprehensive School. The buildings were taken over by North View Junior School. In 1981 the school was reorganised as North View Primary School, and located in the old infant school building. The school closed in 1984. Northfields House, sheltered accommodation, was built on the site. Thank you to Norman Moore for facilitating this article and to Tyne and Wear Archives for the information about Leighton Methodist Church, Leighton Memorial School and North View Schools. The Archive holds many records for both the schools and the church and is well worth a visit. And thank you also to Heaton History Group Honorary President, Alan Morgan, from whose book ‘Heaton: from farms to foundries’ additional material was taken, including the photographs of Leighton Memorial Chapel and North View School. If you have any information, photographs or memories connected with anyone or anything mentioned in this article, please either leave a comment by clicking on the link immediately below the headline or email chris.jackson@heatonhistorygroup.org . This entry was posted in Research, Resources and tagged Ashfield Villa, Bainbridge Memorial Chapel, Benfield School, Brough Street, Heaton Road, Leighton Memorial Board School, Leighton Primitive Methodist Church, North View, North View School, Northfields House, School of Science and Art, Shields Road, William Brogg Leighton on November 5, 2014 by oldheaton. I was at North View from 1940 to 1946 when I left to go to Heaton High. It is really interesting to read about the history of this school. While I was there we had a teacher called Miss Leighton who lived in Stannington Avenue, where I also lived. I wonder if she was any relation to William Leighton? I wonder! Maybe Norman will know. Do you still have any school photos, Muriel? Or reports or anything? Sorry, during the war it was hard for the ‘ordinary’ folk to get film to take photos. I remember my Dad, who was a keen photographer, trying to buy film, and school photos were the last thing one would think about. I have no idea where my reports ended up. The only thing I have from that time is a letter dated July 1946 from “The City and County of Newcastle on Tyne Education Committee” informing my parents I had obtained a ‘free’ place to Heaton High School. How this survived, I have no idea! I understand about the photos! Your parents must have been proud of you getting your place at Heaton High to keep the letter.